Beyond their trademark sound—Roger McGuinn’s shimmering 12-string Rickenbacker and Gene Clark and David Crosby’s smoke and honey harmonies—the Byrds were musical game changers who transformed rock ‘n’ roll three times. With brilliant arrangements of Bob Dylan’s “Mr. Tambourine Man” and Pete Seeger’s “Turn, Turn, Turn,” they forged the folk-rock sound of the mid-’60s. Inspired by jazz saxophonist John Coltrane’s modal improvisations over popular movie themes like “My Favorite Things” and “Chim Chim Cherie,” and the rambling ragas of the Bangladeshi sitarist Ravi Shankar (a fervent Crosby had allegedly hipped George Harrison to Indian music after he’d attended a Shankar recording session), The Byrds helped launch psychedelic music with “Eight Miles High.” Released on March 14, 1966, the song opened our ears and minds to a whole new realm of sonic possibility five months before the Beatles’ mesmerizing mantra “Tomorrow Never Knows” and a year before the acid jams of the Grateful Dead and Jimi Hendrix. But by 1967 The Byrds were in shambles. Their lead-singer and top songwriter Gene Clark, responsible for the band’s first self-penned hits “I’ll Feel A Whole Lot Better” and “Set You Free This Time” had abruptly quit the group in January 1965, ironically citing his fear of flying as the reason for leaving while insiders claimed that working with the notoriously arrogant David Crosby nearly caused him to suffer a nervous breakdown. In the vacuum created by Clark, bassist Chris Hillman quickly stepped up to the plate. When The Byrds released Younger Than Yesterday on February 6, 1967, four of the album’s best songs were penned by Hillman. Before joining McGuinn, Clark and Crosby, Hillman’s background was in bluegrass, playing mandolin before picking up electric bass. Hillman would invite his old friend, guitarist (and future Byrd) Clarence White to the studio to add his trademark slippery country riffs to his songs, “Time Between” and “The Girl With No Name,” which (along with their earlier single “Mr. Spaceman”) set The Byrds heading down the country-rock road. Originally named the Jet Set before adopting the Byrds as their moniker, the clever spelling wasn’t just some Renaissance-inspired wordplay; Roger McGuinn and company had dubbed their group in honor of the great Admiral Richard Byrd, famous for his expeditions to both the North and South poles. The band’s slogan “Always Beyond Today” summed up the philosophy behind many of their sonic experiments, which, while always innovative and interesting, didn’t always bear repeated listening. McGuinn’s electronic dabbling on “C.T.A. 102,” which employed an oscillator and manipulated voices and Crosby’s meandering free-form bardic recitation on “Mind Gardens” seemed self-indulgent at best. But many of these ideas would actually come to fruition on their following album The Notorious Byrd Brothers. The sessions for The Byrds’ fourth album began on July 28, 1966, with Gary Usher, who’d co-written the Beach Boys’ classic ballad “In My Room” with Brian Wilson, at the helm. 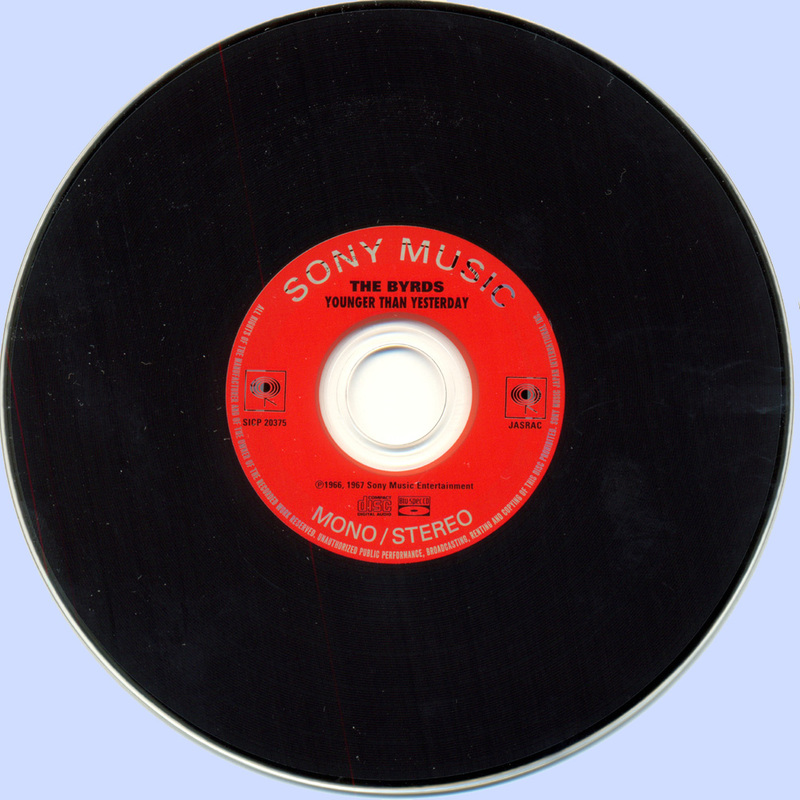 Having just produced Gene Clark’s debut album Gene Clark with the Gosdin Brothers for Columbia Records (a fine record that immediately plummeted into oblivion) Usher helped try to balance the escalating tensions within the band while bringing an ethereal luster to the music (perfectly illustrated by the pixilated album’s cover shot). Usher would thankfully stay on through another major shift in the Byrds’ personnel and style to produce their next two albums, the psych/country milestone The Notorious Byrd Brothers and their Americana masterpiece, Sweetheart of the Rodeo. The dismissal of David Crosby in October ’67 came as little or no surprise. His firing could not be attributed to any particular reason. As far as McGuinn and Hillman were concerned there were far too many to count. Both Hillman and McGuinn had been aggravated by Crosby’s on-stage politically-charged remarks about the Kennedy assassination at the Monterey Pop Festival the previous June. On top of that, Crosby had brazenly joined “the enemy,” when he played a set with his friends, Buffalo Springfield, filling in for Neil Young, who failed to show up for the gig. But back to Younger Than Yesterday…The album’s lead-off single, “So You Want to be a Rock ‘n’ Roll Star,” was a cynical statement about the mad whirlwind of fame and money that many pop stars found suddenly themselves in the center of. 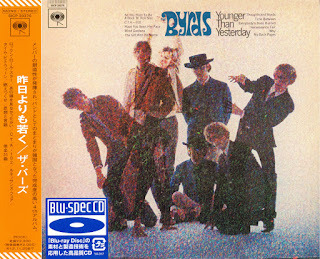 While taking aim at pre-fab groups like the Monkees, the song could be seen as a self-deprecating autobiographical comment from The Byrds’ about their debut album, which, with the exception of Roger McGuinn’s 12-string guitar, was performed by a top-notch group of L.A. session players known as the Wrecking Crew. The Crew’s pro performances would soon come back to haunt The Byrds when, on the success of “Mr. Tambourine Man,” they toured the U.K. in 1965 and failed to replicate the rich, warm sound of their No. 1 single. The album’s title was inspired by Dylan’s “My Back Pages” (“I was so much older then, I’m younger than that now”), which provided the band with its next single (and the third Dylan tune to provide the band with a hit). “My Back Pages” became a point of contention for Crosby, who rightfully felt shortchanged as his songs perpetually wound up as Byrds B-Sides. 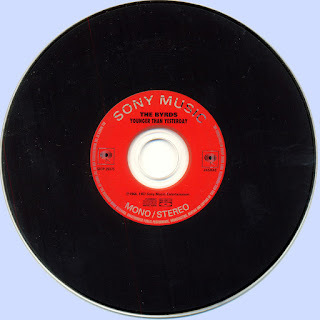 In hind-sight it is clear that McGuinn and Hillman continually chose to shelve Crosby’s tunes in favor of their own compositions or songs by outside writers including Dylan, Pete Seeger and Gerry Goffin and Carole King. Among Younger Than Yesterday’s highlights were Crosby’s “Everybody’s Been Burned,” (released on the flip-side of “So You Want to be a Rock ‘n’ Roll Star”) written when he was playing folk clubs back in 1962 and the gorgeous “Renaissance Fair” (the B-side to “My Back Pages”), which perfectly captured the atmosphere of the time, burgeoning counter-culture and events like the Human Be-In and Monterey Pop. The album’s closing number, “Why,” had already appeared in an earlier, better version as the B-side to “Eight Miles High.” Ignored, “Why” fell into obscurity and Crosby felt the song deserved a redux. A perfect portrait of ’60s repression and rebellion, the tune was also a great vehicle for McGuinn’s spiraling 12-string raga riffs. Crosby later confessed that he favored the earlier Jim Dickson-produced version, despite his demand that the band recut the song and include it on Younger than Yesterday. An album that found The Byrds in the delirious high of transition, at times gloriously scattershot with experimentation, for all its blemishes, Younger Than Yesterday still sounds as fresh today as it did in 1967. The Byrds always dared to fly where only eagles dared—that kind of ambition will always be timeless.